Clean Sleep Technology offers a safe and effective way to clean your mattress, whether you are responsible for institutions such as hotels, hospitals, and student housing or need us to come to your home. Our services target allergens, odors, stains and the other problems which you are bound to encounter as a mattress owner. 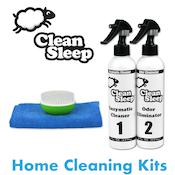 Clean Sleep has the capacity to service large commercial projects. Whether it be an emergency response or a full Clean Sleep Certification for all beds, our commercial clients utilize our expertise in a variety of ways. Our monthly service plans are great for maintaining your current mattresses in their best possible condition for your guests’ and residents’ health.